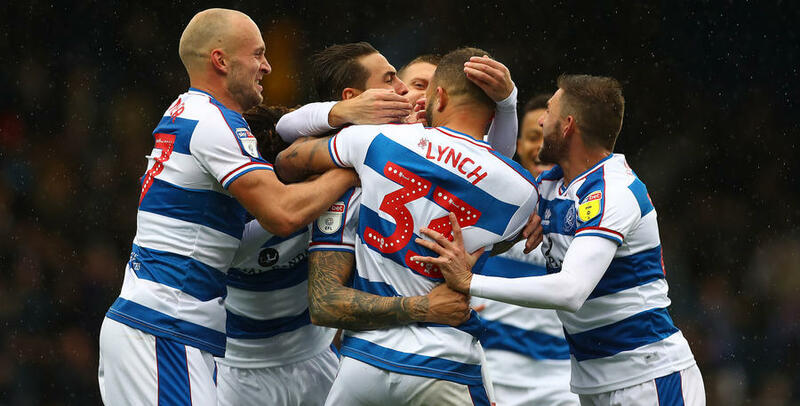 RANGERS came from behind to earn themselves a point against promotion-chasing Derby County, in what was an all-action and highly-entertaining Loftus Road affair. Despite an even first half, Jack Marriott’s 24th-minute strike separated the sides in W12. Geoff Cameron hauled the Super Hoops level, sliding home for his first-ever R’s goal at close range after Scott Carson originally parried Luke Freeman’s testing free-kick effort. Rangers boss Steve McClaren named an unchanged starting XI following the 1-0 midweek win at Reading. The R’s, in a 4-4-1-1 formation, lined up as: Joe Lumley; Angel Rangel, Toni Leistner (captain), Joel Lynch, Jake Bidwell; Jordan Cousins, Massimo Luongo, Cameron, Freeman; Ebere Eze; Nahki Wells. Some wet west London made for a bit of a scrappy start. Though Rangers should have led come the fourth minute – the hosts spurning a guilt-edged opportunity to grab hold of the initiative early on. Some patient build-up play ended with Wells hanging up a cross from the right-hand edge of the box. Bidwell then headed marginally wide, after escaping his marker at the back post. 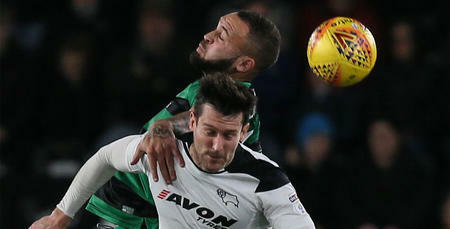 Wells was also involved in another home attack four minutes later, this time heading straight at Derby ‘keeper Carson following Cousins’ right-flank centre. The possession count was fairly even in the opening stages, though Rangers went closer to opening the scoring. Indeed, in the 18th minute, Luongo spun on Eze’s pass into him on 20 yards before curling just past the foot of the left-hand post. However, despite those opportunities, it was Frank Lampard's Rams who took the lead midway through the first period. Rangers failed to deal with a hopeful ball forward and, when Marriott raced in behind the home defence, he buried his subsequent effort past Lumley from 10 yards. A poor goal to concede from QPR’s perspective – and things got even worse when Bidwell was forced off with what looked like a dislocated shoulder soon after. Pawel Wszolek eventually took his place. The first goal made for an open and very-competitive first half thereafter. Rangers went close to levelling matters on the half-hour mark, as Wells' dipping 16-yard effort struck the crossbar. Marriott then forced Lumley into a smart low save a minute later, before Eze’s distance attempt at the other end in the 32nd minute darted only inches past the right-hand post. But there were to be no further goals in the opening period – QPR instead waiting until three minutes after the half-time break to register their reply. Freeman’s 20-yard free-kick was parried away from goal by Carson, then Wells pulled the ball back for Cameron to guide home from 10 yards. This contest continued to be an entertaining one, though chances were subsequently more limited up until the hour mark. The next real opportunity didn’t arrive until the 64th minute, with sub Wszolek miscuing from 18 yards after leading an R’s breakaway. McClaren opted for a second home change five minutes later, as Cousins made way for Brighton loanee Tomer Hemed. Rangers then fashioned an attempt in the 71st minute, as Leistner’s ambitious effort from range fizzed over. Another swerving distance shot, this time at the other end from Harry Wilson, was repelled by Lumley in the 73rd minute. In truth, Derby grew stronger as the clock began to tick down, with Rangers having to defend doggedly to keep themselves level. To their credit, McClaren’s men did just that - and very nearly won it during four minutes of added time at the end. Mason Mount headed off the goal-line, after Freeman’s right-wing corner pinged around the box. 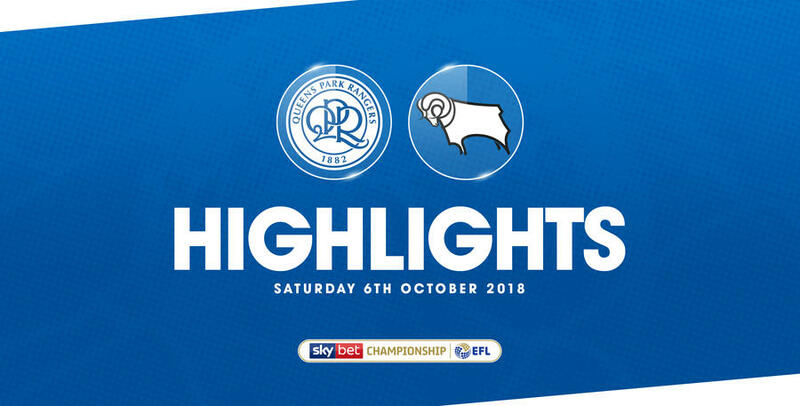 WATCH highlights from QPR’s 1-1 draw with Derby County at Loftus Road on Saturday afternoon.